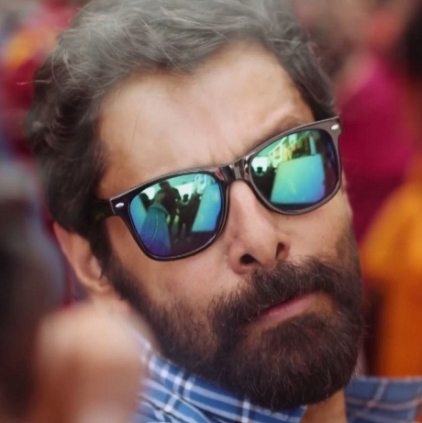 Vikram's Sketch teaser to release for Diwali 2017. Earlier it was speculated that the film would release for Diwali but now the teaser is planned to be unveiled for Diwali. Mark your calendar guys, it is October 18th at 6 PM. So we can watch Mersal movie from the morning and Sketch teaser from the evening. For the past few months, a budding personality has been trending on social media for various reasons. Every person must have caught a glimpse of Dhruv Vikram somewhere or the other for his stylish photos on Instagram. He is often seen with his dad, actor Vikram in many pictures. The Vikram factor has lifted the fame for Dhruv after his dubsmash videos were trending on social media. Many times, Vikram has been asked if Dhruv will also venture into acting and Vikram has also said that he would if he is interested. Dhruv recently celebrated his birthday and even the hashtag, #HBDDhruv was trending on Twitter. Do we have a star in the making? We need to wait to find out!